Premium 100% cotton Natural color Tees. 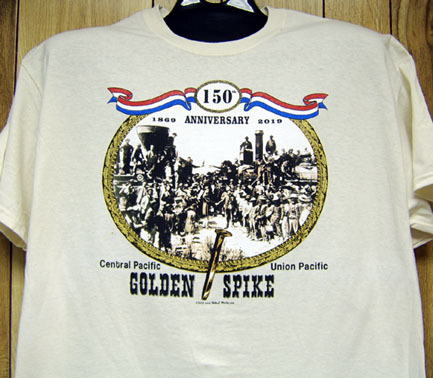 The 150th Anniversary of the driving of the Golden Spike at Promontory Point, Utah on May 10th,1869 will be celebrated in during 2019 and beyond. Own a price of history with these exclusive Natural color premium T-shirts. Click on above image for zoom.